MIX N MATCH as long as it totals 4 ounces. See Color chart above and select your four colors and add to your comments box upon checkout...OR....just convo us with your choice. 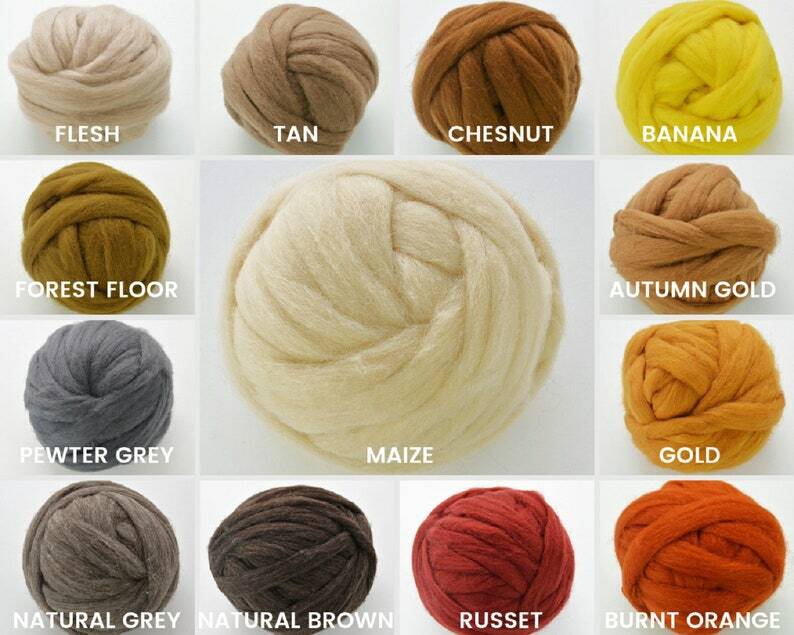 Top quality Romney wool in vibrant colors and earthy shades. Many of the shades look like they are naturally dyed. Compared to our Corridale roving, the Romney is a bit coarser and has a little longer staple fiber. It does have that same gorgeous, natural luster. Wilde Wools, Inc is America's oldest woolen mill. Since the 1880's, the Wilde family has been producing high quality woolen fibers at their historic wool mill in Philadelphia, PA. The John Wilde & Brother, Inc wool mill was (and still is) the last standing wool mill of its’ kind in America. When the historic wool mill finally shut off its’ machines in 2009, Dan Fawley, the mill owner’s son and longtime employee, decided to take over a small aspect of the mill's operation. Presently, The Mill/ Fiber Warehouse, is producing high quality carded wool. Their decades of experience in the wool fiber industry is evident in the beautiful, versatile fibers they produce. Certified under the "Oeko-Tex Standard 100". This standard is the most widely known standard for certification of ecologically-safe clothing.